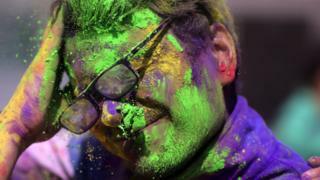 People have been celebrating the Hindu festival of Holi, also known as the festival of colours. 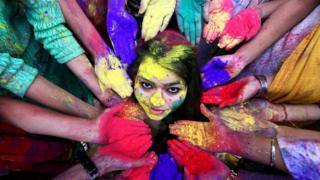 The festival, mainly celebrated in India and Nepal, marks the beginning of spring. It also symbolises new beginnings. 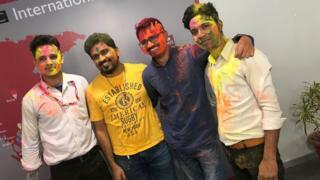 Holi festival falls on the last full moon of the lunar month. 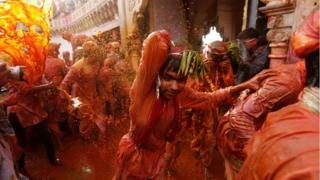 On the day of Holi, people throw liquid and powdered colour over each other. The night before, people light bonfires to signify good triumphing over evil. The colours of the powders each have a different meaning. Red is meant to represent love and fertility, yellow is the colour of turmeric, blue is for the Hindu god Krishna and green symbolises new beginnings. 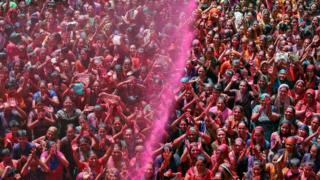 Water based pigments are now being used in the creation of the coloured powder instead of traditional plant based colours including turmeric. 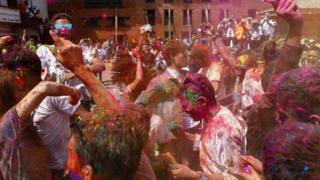 Images from the festival show crowds completely covered in colourful paint as they take part in the celebrations. 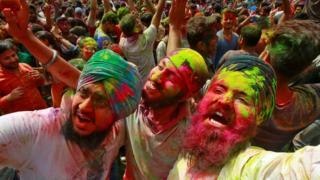 BBC reporters in Delhi (above) also took part in the festivities. 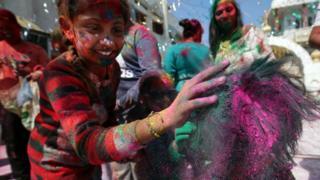 Aside from India, Holi is also celebrated in Nepal, which has a large Hindu population. 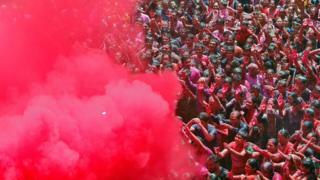 A celebration is held in Kathmandu (below). It has also become popular in other countries around the world including the UK.